Vitamin C, scientifically known as ‘ascorbic acid’ and ‘L-ascorbic acid’, is a water-soluble antioxidant vitamin. It facilitates the absorption of iron, regenerates other antioxidants, builds connective tissue, and offers numerous other benefits for our body and overall health. Vitamin C can be found in certain foods naturally and added to some others. But our body cannot synthesize this vitamin like other animals, which makes it a dietary essential. Vitamin C can be obtained in a variety of forms including sodium ascorbate, calcium ascorbate, magnesium ascorbate, potassium ascorbate, manganese ascorbate, zinc ascorbate, molybdenum ascorbate, and chromium ascorbate. However, only sodium ascorbate and calcium ascorbate among these are available individually while all other forms are found as mineral ascorbates or other mineral compounds. A diet rich in vitamin C can fill up the deficiency of moisture in our skin cells. If dry and flaky skin is your concern and no moisturizing cream is able to address it effectively, topical application of vitamin C is what you need to improve the natural moisture content and overall hydration of your body. Being a powerful antioxidant, vitamin C can fight against free radicals and protects our skin from oxidative stress successfully. It gives a firm and youthful skin that is free of fine lines, wrinkles, droopiness, age spots, and other signs of aging. No matter what your age, you can look younger for longer by using vitamin C regularly. Vitamin C can produce hydroxylysine and hydroxyproline, which facilitate collagen formation in our skin. This revitalizes the skin internally as well as make it toned by filling in fine lines and wrinkles. Regular intake of this nutrient also even out the skin tone and brighten up the complexion without the need of expensive cosmetics. This vitamin is known to keep the DNA in our skin cells protected from photochemical reactions. It can also limit the generation of Pyrimidine dimmers. As a result, we get rid of redness, melanoma, freckles, and other skin discolorations while achieving a more uniform skin tone and better complexion. Vitamin C can boost the health of our vascular system by promoting collagen production. It improves blood circulation throughout the skin, thereby adding to its health, texture, and complexion greatly. Hence, women with otherwise dull skin can achieve a brighter and more vibrant look with its help. 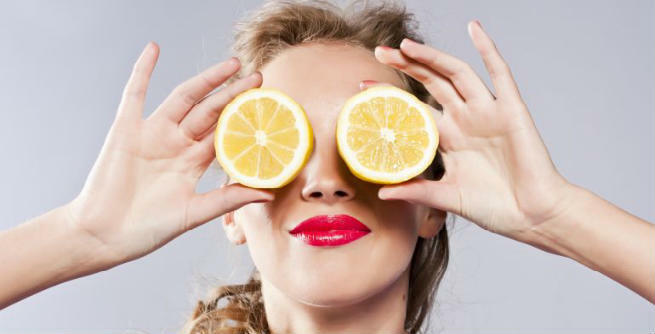 It has been found that vitamin C can provide protection from the damaging UV rays of the sun (both UVA and UVB rays). As a potent antioxidant, it strengthens the skin and prevents skin cancer to a great extent. The nutrient can also heal sun burn efficiently so that you can stay away from symptoms like redness, itching, burning sensation, etc. Do not consider topical vitamin C as an alternative to your regular sunscreen. Rather, combine them together to get the best results. If you have scars left by old cuts, acne, or other blemishes on your skin, vitamin C can help remove it completely by speeding up the natural healing process of your body. It can repair damaged tissues and promote the formation of new ones by reducing inflammation significantly. Including vitamin C in your daily diet can increase your energy level to a great extent. It helps in iron absorption, which eventually cures medical conditions like anemia, weakness, exhaustion, etc. Consuming vitamin C-rich foods can result into longer as well as stronger nails. It also plays a key role in keeping our nails healthy by averting hangnails. This exclusive vitamin is also good for our eyes. It can help us take care of the delicate skin around them and keep wrinkles at bay. It also aids in reducing dark circles under the eyes, which eventually gives a brighter and younger appearance. 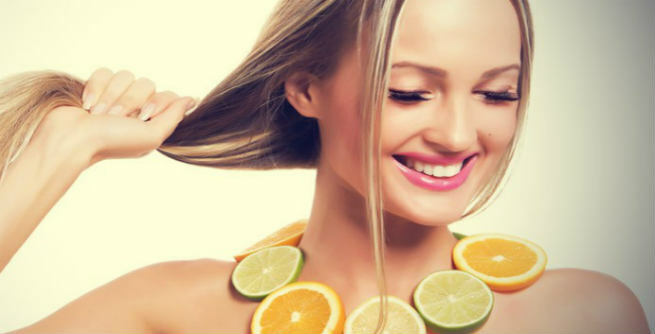 When it comes to getting a bunch of long and beautiful hair, the need of vitamin C cannot be ignored. From your diet to your hair mask, try to include this vitamin in each and everything in order to improve the growth and health of your locks naturally. Hair problems like dandruff, itchy scalp, etc. can also be cured with the help of vitamin C. It helps in maintaining the moisture and oil balance of our scalp, combating bacterial attack on it and making the hair follicles healthy. Vitamin C works on our endocrine system, which helps in keeping the secretion of several hair loss-preventing hormones under control. As a result, we get rid of excessive hair loss. 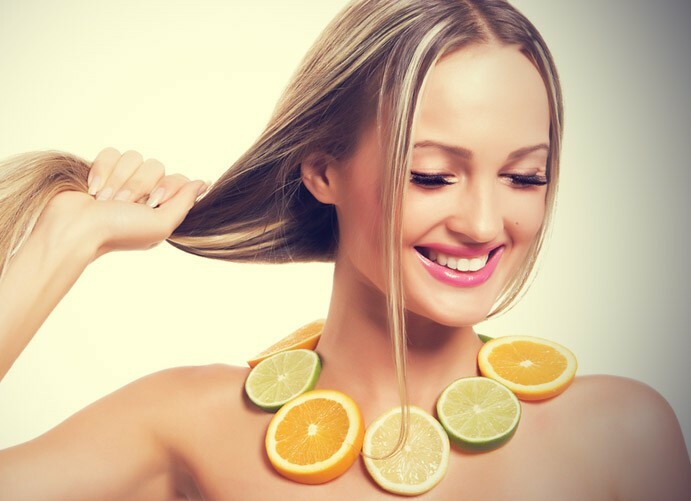 As vitamin C increases the flow of blood throughout the scalp and restores the damaged capillaries present in it, we can expect extremely thick and strong hair by taking it in regularly. The amazing vitamin is also capable of warding off untimely aging of our locks. Hence, we can retain the natural shade of our hair for long. The recommended daily intake of vitamin C is 30-180 mg. In case of such moderate intakes, almost 70-90% of the vitamin gets absorbed in our body. If the intake becomes more than 1 gm. a day, almost 50% of the vitamin will be left unabsorbed.